As a Senior Vice President in Penn-Florida’s development division, Mr. Albert Piazza leads the Company’s mixed use and residential development division. He is responsible for project conceptualization, design and execution. Mr. Piazza is also charged with managing the Company’s third-party sales and leasing teams. 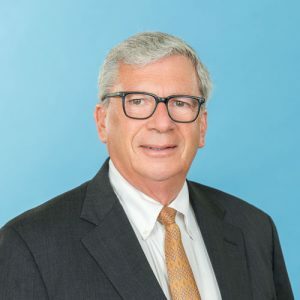 Throughout his 35-year career, Mr. Piazza has been a major player in the development of residential-resort communities, serving as a merchant single-family home builder and a high-rise general contractor, and eventually owning and operating Coscan Homes and Coscan Construction. His experience across Florida encompasses the development of South Florida’s very first ocean front condo-hotel, 26 residential high-rise towers, nine master-planned communities ranging from small urban in-fill sites to 2,500-acre parcels, four golf courses, a 100-slip marina, and numerous retail and hospitality projects, spas and fitness clubs. Mr. Piazza began his real estate career in New York where he was responsible for the redevelopment, leasing and management of six retail and office buildings in Manhattan, Rochester and Chicago as well as a condo conversion on Manhattan’s prestigious Central Park South and the acquisition and renovation of the historic Barbizon Hotel and Greenwich Village’s Federal Archives Building.